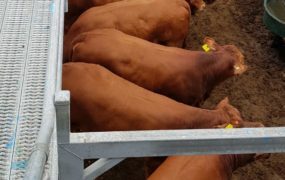 2018 DN SALE – Day 1, 11 September. 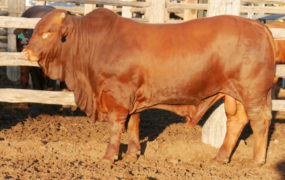 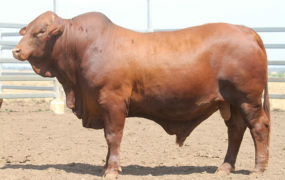 For more information on our Sale Lots 11-25 please view our Droughtmaster Sales page. 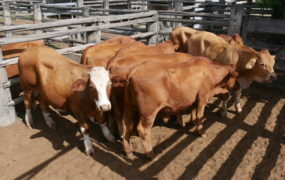 Selling our heifers at the Gracemere Saleyards. 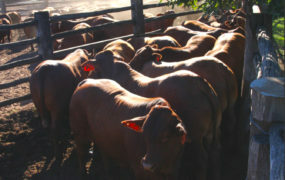 Cattle prepared at the Duaringa Station Feedlot for the Commercial Cattle Championships. 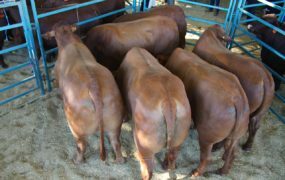 1st in Class 5 – Pen of 10 Heifers 500/640kgs, milk tooth. 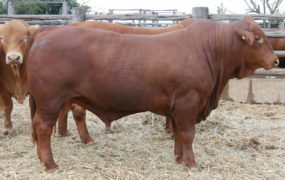 1st in Class 3 – Pen of 10 Steers 520/600kgs, milk tooth. 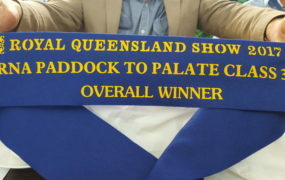 We also came 2nd in the same class. 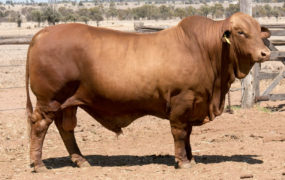 Yaralla records $6175.00 average for 20 bulls with 100% clearance at the 2017 Artesian Sale, Blackall. 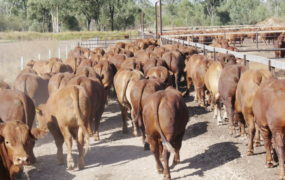 For more results see our Sales page. 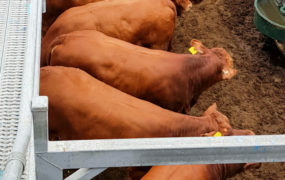 Four new sires have been purchased this year. 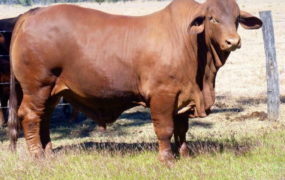 They are Bundy Gun Steel, Medway Xavior, Cashmere Ripcurl and Rondel Unspoken. 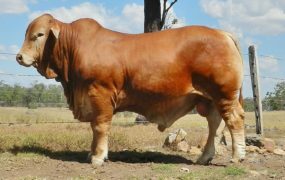 For information see our Sires page. 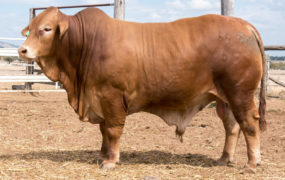 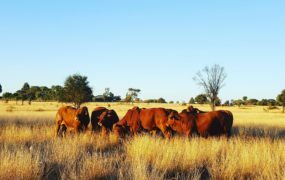 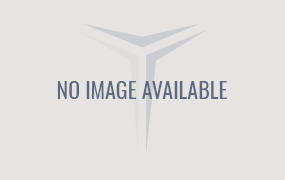 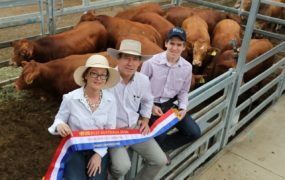 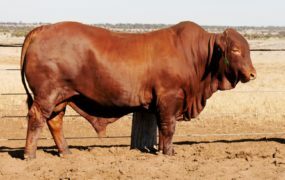 Droughtmaster National Sale bulls’ scan results are now completed. 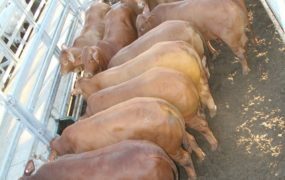 Our 15 bulls averaged 731kgs, P8 12, rib 7.9 and ema 132. 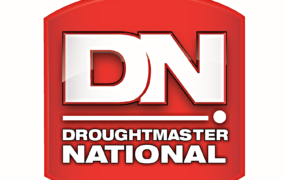 For further information go to our Droughtmaster Sales page. 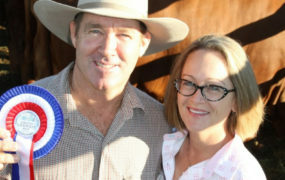 Yaralla Droughtmasters has sold 600 straws to Munda Station, WA from Yaralla Ridgeway. 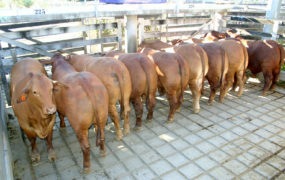 Class 37 – 100 day export – individual weight gain – 2nd with an individual average daily gain of 3.599kgs. 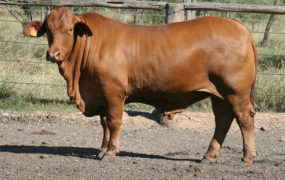 Start weight of 382kgs with a final weight of 742kgs. 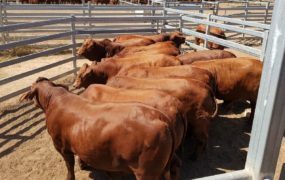 Selling Day 2 Lots 437-452.